Since we are about to celebrate the birth of Jesus, I felt it would be a good time to teach on His miraculous birth as well as the miraculous birth of His forerunner -- John the Baptist. The story of John the Baptist’s and Jesus’ birth is in the Gospel of Luke. Luke had the heart of a loving physician. Luke is the Gospel that reflects Jesus as the One who came to seek and save those who are lost. In other words, the Son of Man. He shows Jesus as the compassionate One who came to live among sinners to love them, die for them, heal and help them become all that they can be in Him. Luke was a trained physician so he would understand birthing and healing. God chose Luke to write about the two births that together would unveil the Living Word being birthed on earth. Luke is writing to Theophilus, which means “lover of God.” Many had written about the things that “have been fulfilled among us, just as they were handed down to us by those who from the first were eyewitnesses and servants of the Word.” Luke 1:1 Luke didn’t take these accounts at their word, but “carefully investigated everything from the beginning.” Then Luke shared his findings with Theophilus to assure him of the things he had been taught. Theophilus was a lover of God and seeker of Truth. Both Luke and Theophilus were gentiles. Luke wanted to write an accurate and orderly book of the life, ministry and message of the Gospel of Jesus Christ. Before he did this, he researched and talked to eyewitnesses until he was sure he knew the truth. Not a prophet of God has spoken God's Word for over 400 years. The last word was from Malachi who prophesied that God would send Elijah before the great and dreadful day of the Lord. When he comes He will turn the hearts of the fathers to their children, and the hearts of the children to their fathers. Malachi 4:5 God is now going to fulfill this Word by sending John the Baptist who came in the Spirit and power of Elijah. Jesus identifies John the Baptist with Elijah. “And if you are willing to accept it, he (John the Baptist) is the Elijah who was to come.“ Matthew 11:14 Jesus revealed Truth because He is Truth. God has not forgotten His promises and covenants with His people. This prophet in the spirit and power of Elijah will bring many to the Lord and will connect the fathers and the sons in the unity of the faith through Jesus. God is about to bring His Word to life in the flesh in His Son Jesus Christ. He will be the Living Word -- the voice of God -- all Truth -- brought to life. God will begin His plan of redemption through the forerunner--John the Baptist--to fulfill scripture, just as He used the Older Testament Law and Prophets to begin to reveal His redemptive plan until the True Redeemer Jesus is birthed in the flesh. Miraculous "new birth" is coming to Zechariah and Elizabeth (priestly tribe), and to Mary (kingly tribe). God is about to birth His Son in the flesh on the earth--who is the Seed of God, not man! This new birth will be Jesus, God’s Only Begotten Son, who will be both a Priest and a King and who will establish a holy nation of priests and kings. There will be no other like Him on the earth. 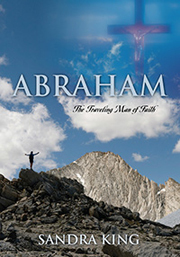 God will begin with Zechariah who is a Jewish priest under the Law and his wife Elizabeth. Then God will birth a new, unique creation in Mary -- God Himself in the flesh -- who will be a descendant of David of the kingly tribe in the flesh, but is also the Eternal Son of the Eternal God. God reproduced is God! This new birth in Jesus will be the only One of its kind. Through Jesus all believers will experience a new, spiritual birth but unlike Jesus, we will still be full of sin. God will dwell in Israel in the womb of Mary until Jesus is birthed! Elizabeth and Zechariah were beyond child-bearing years (elders) and without an heir. It would take a miracle of God to give them a son. The Bible says that both Zechariah and Elizabeth were "righteous in the sight of God, observing all the Lord's commands and decrees blamelessly." Luke 1:6 Oh that we would all receive such a commendation from the Lord! God praised Elizabeth and Zechariah for their faithfulness, obedience and righteousness. They were faithful to God and to His people Israel. They honored God in their words, actions and deeds. God will honor their faithfulness, obedience and righteousness by giving them their deepest desire -- a son and heir. In Biblical times, being barren was thought to be a sign of God's displeasure and judgment. But not so with Zechariah and Elizabeth. God would save the best for last for these faithful, obedient servants. In the "natural," having a son in their old age would seem impossible, but with God "all things are possible." As Abraham walked blameless before God and he and his wife Sarah were promised a spiritual son in their elder years, Zechariah and Elizabeth walked blameless before God and were promised a spiritual son in their elder years. God's ways don't change! Zechariah means “Jehovah has remembered.“ Elizabeth means "oath (covenant) of God." God has not forgotten or forsaken Zechariah and Elizabeth nor has He forgotten or forsaken Israel. God has remembered His people and His covenant oath with them. Elizabeth who is in covenant with God will birth the son who will be the forerunner of Jesus, God's own Son. A forerunner is one who comes in advance to a place where the rest are to follow. John the Baptist is the seed of an elder man birthed through an elder woman similar to Abraham and Sarah birthing Isaac, but Jesus is the Seed of God birthed through a young, virgin woman. “The elder will serve the younger,“ as God spoke to Jacob in Genesis. Israel will serve Jesus/Yeshua. Through God's supernatural power, love and grace, Elizabeth will give birth to a prophet-priest who will speak God's Word that had been silent for 400 years. John the Baptist who was of the tribe of Levi and a prophet was birthed through the elder covenant with Israel. The Jews believed that Elijah would appear personally but God sent John the Baptist in the spirit and power of Elijah. John would point to the Lamb of God and Savior of the world Jesus, just as the Older Testament points to Jesus. John the Baptist will be the last but not the least of the Older Testament prophets. Jesus Himself said that there were none greater than John the Baptist, but the least in the Kingdom of heaven would be greater than John. (see Matthew 11:11-13) Why? Because Jesus is greater than John, so believers in Him will be greater. In the connection in scripture of the births of John the Baptist and Jesus, God is showing the connection of the old and the new in its revelation of Jesus Christ. Jesus is the author of a New Covenant not established by the blood of lambs and goats but by His sinless (holy) shed blood. Zechariah had been chosen by lot to go into the Temple and burn incense to the Lord. This was no coincidence but was done by the very hand of God. God was about to do a new thing. God’s appointed time had come, and His appointed couple is chosen who would begin to bring His plan of redemption about. People were assembled and praying outside in the courts of the temple. Zechariah would take the golden bowl of incense taken from the burning ashes of the sacrificial lamb for atonement and put it on the golden altar in the Holy Place. The golden altar was in front of the veil that was the entrance into the Most Holy Place of God’s presence -- shekinah glory. The golden altar symbolizes intercessory prayer. In the book of Revelation, chapter 5, when the lamb takes the scroll out of the right hand of Him who is sitting upon the throne, John said, "And the twenty-four elders came forth with their little golden bowls, full of incense, which are the prayers of the saints, and they offered them before the throne of God." (Revelation 5:8). An angel of the Lord appeared to Zechariah, standing at the right side of the altar of incense. Luke 1:11 Verse 19 tells us that this angel was Gabriel, the same one that appeared to Mary the mother of Jesus. Gabriel means “might of God.“ Gabriel is standing on the right side of the altar of incense. The right side is the place of power and authority. Who is seated at the right hand of the Father and makes intercession for us before the Father? This is a foreshadowing of the role of Jesus. “When Zechariah saw Him, he was startled and was gripped with fear.” Luke 1:12 It was thought in biblical times that anyone who saw the Lord would die so they became full of fear. Thankfully, in Jesus we see the face of God without fear. God sent His angel Gabriel to speak God's Word of purpose into the lives of Zechariah, Elizabeth, Mary and Joseph. Gabriel spoke God's plan to Zechariah because he was the spiritual head of his household and would be a part of God's plan in bringing forth John the Baptist. Right away, Gabriel told Zechariah not to be afraid--that his prayer had been heard.. “Your prayer has been heard. Your wife Elizabeth will bear you a son, and you are to give him the name John. He will be a joy and delight to you, and many will rejoice because of his birth, for he will be great in the sight of the Lord.” This came true. Jesus commended the greatness of John the Baptist as I stated earlier. (Matthew 11:11-13) The name John means “God is gracious.” Normally a son in biblical times would be named after their father, but God named John. John was to be known as God’s gracious gift so God would get the glory not man. John the Baptist would be a Nazarite. (Numbers 6:1-21) A Nazarite is one who makes a vow of separation unto God. He would also be filled with the Holy Spirit in his mother’s womb when he was conceived and life entered him. John the Baptist would also turn many Israelites back to God, and the hearts of the fathers to the sons, and the disobedient to the wisdom of the righteous to prepare the people for the coming of Messiah. All of this was hard for Zechariah to believe, so he questioned Gabriel. “How can I be sure of this? I am an old man and my wife is well along in years.” Luke 1:18 Zechariah said who he was, but Gabriel says, “I am Gabriel. I stand in the presence of God and I have been sent to speak to you and to tell you this good news.” Luke 1:19 In other words, this is who I am! Gabriel had prophesied of this day through Daniel, so Zechariah who was a priest and knew the Older Testament scriptures should have remembered this. (Daniel 9:20-27) Instead of looking to God in faith, Zechariah looked at the circumstances. The glorious angel Gabriel who stands in the very presence of God in the heavenly throne room spoke this and yet Zechariah doubted and asked for a sign. So God gave him one! He silenced him for nine months. God could not allow his negative, doubtful words to be spoken against His plan. Because Zechariah asked for a sign, God would only let him communicate with others using signs. (see Luke 1:22) Zechariah's silence prevented him from giving the priestly benediction of blessing to the people. He could neither bless nor curse for nine months. Zechariah’s doubt will not stop God’s purpose. If God purposes it, He will perform it. He will carry it out in spite of man. No two women of the Bible had a greater supernatural and Divine connection than Elizabeth and Mary. They were a perfect example of order and agreement. The order of God’s Kingdom was birthed through the bond, faith, obedience and willingness of Elizabeth and Mary who were related. Both were willing to submit to God’s Word and purpose. Elizabeth and Mary were the only two women who knew the plan of God through their sons. They were aligned with God’s order and submitted to His Word and Will. God will accomplish His plan of redemption through these two Jewish women. First God birthed John the Baptist who would represent the Law. Then God birthed "grace and truth" through Mary. Elizabeth became pregnant and remained in seclusion for five months. Luke 1:24 Elizabeth gave glory to God for her pregnancy. "The Lord has done this for me. In these days He has shown His favor and taken away my disgrace among the people." Lk. 1:25 Elizabeth was barren which was considered a curse. Being without child was legal grounds for divorce in biblical times. Zechariah could have divorced Elizabeth, but he didn’t. There must have been a strong bond of love between Zechariah and Elizabeth. Zechariah remained with her even though they were childless. God will honor his faithfulness with a son, just as God honored Israel with His very own Son. The Savior and Messiah of the world came through Israel. Gabriel spoke the prophecy of John the Baptist’s birth to Zechariah not Elizabeth and yet Elizabeth knew that the "new birth" coming from her body came from the Lord's favor (grace and love). She gave glory to the Lord, and thanked Him for His favor. 5 is the number of grace. The new life in Elizabeth was because of God’s grace. Elizabeth said that not only had God shown His favor toward her, He also took away her shame of not having a child. Jesus did this also. He is God's grace for all and takes away our sin and shame. The elder Elizabeth would birth her son (destiny) John the Baptist first, just as God wrote the Law and the Prophets first whom John represents. The Law and the Prophets pointed to Christ as John the Baptist pointed to Christ as the Lamb of God that takes away the sin of the world. Mary, the younger one, would spend three months with Elizabeth before her son (destiny) would be birthed. 3 is the number of the fullness of the Godhead and Truth. Jesus is the fullness of the Godhead and all Truth. The fullness of the Godhead and Truth was in the womb of Mary. There was no jealousy between Elizabeth and Mary. They knew their purpose in God's plan. The Older Testament and Law also had its purpose. It was God's way of painting a picture of Jesus, who is all truth. Elizabeth's son, John the Baptist, was sent by God to preach repentance and baptism in preparation of receiving and knowing Jesus Christ, God's only begotten Son. The Law and the Prophets showed us our sin and our need for a Savior. Jesus came as the Savior of the world to redeem all of mankind. When Elizabeth was in her sixth month of pregnancy, Gabriel appeared to Mary. Gabriel spoke directly to Mary because no man would have anything to do with the birth of her Son who would be the Son of God, not man. Both Elizabeth and Mary received God's Word by faith and birthed it bringing it to fruition through the power of the Holy Spirit. These two Jewish women came together in their God-given destinies without ego, envy or jealousy. Only women can give birth, so John the Baptist and Jesus must come through a woman. John the Baptist was the seed of man, but Jesus is the Seed of God. Big difference! God will birth His Son into the world through this pure, faithful, willing and obedient woman. God Himself came to earth through a woman’s ability to give birth. God is still birthing Jesus on earth through His Bride -- His Church. Elizabeth was favored of the Lord, but Mary was highly favored of the Lord! Gabriel said to Mary, "Greetings, you who are highly favored! The Lord is with you." Luke 1:28 Mary was still a virgin. Her womb was untouched by the flesh and seed of man, and was still sealed. Jesus could only come into a womb like this because He is holy and must be birthed through a holy place that nothing of man has touched. Mary had a sinful nature like all of humanity, but her womb was still pure. Mary also became fearful and questioned Gabriel when he said that she would give birth to a Son, but her son will be the Son of the Most High God and His Kingdom will never end (eternal). Gabriel tells Mary not to be afraid. God is with her. Mary is to call her Son Jesus, which means “God is salvation” Gabriel said that John the Baptist would be great, but Mary’s son will be greater. He will be called “the Son of the Most High. The Lord God will give him the throne of his father David, and He will reign over the house of Jacob forever; His Kingdom will never end (eternal).” Luke 1:32-33 Jesus must come through the tribe of Judah to fulfill scripture. Both Mary and Joseph descended from David and the tribe of Judah. God has said that David’s kingdom will never end. Jesus is the fulfillment of that promise -- the Davidic Covenant. This could only be fulfilled by One who is Eternal. “How will this be,” Mary asked the angel, “since I am a virgin?” Luke 1:34 Gabriel answered her, “The Holy Spirit will come upon you, and the power of the Most High will overshadow you.” Luke 1:35 This is the exact same way that the Godhead worked in Genesis 1 at creation. The Holy Spirit hovered over the darkness and chaos. The Holy Spirit will hover over Mary (overshadow her). “So the Holy One to be born will be called the Son of God.” This birth will be the miraculous work of God through the power of the Holy Spirit and the Word of God spoken through His angel. Mary’s Son will be free of sin because He was conceived by the Seed/Word of God and the Holy Spirit of God. The sin of man will not be in Him. Mary responded, “I am the Lord’s servant. May it be to me as you have said.” Luke 1:38 Mary believed God’s Word and submitted to it because she was the Lord’s servant. Mary would let God’s Word take root and grow in her until Jesus is birthed through her. God works in the same way with believers today. We are to hear God’s Word, receive it and believe it until Jesus is birthed in us and through us by our actions, words and deeds. Excited about the news of Elizabeth's pregnancy, Mary goes to Judea to see Elizabeth and rejoice in the good news. When Elizabeth heard the voice of Mary, her baby leaped for joy in her womb, and Elizabeth was filled with the Holy Spirit. The Holy Spirit in the baby in her womb and the Holy Spirit in the baby Jesus in Mary’s womb connected Holy Spirit to Holy Spirit. Elizabeth began to prophesy. “Blessed are you among women, and blessed is the child you will bear! But why am I so favored, that the mother of my Lord should come to me?“ Elizabeth was humble. Notice that she said “my” Lord. The Lord was personal to Elizabeth not just a far away God. Gabriel had told Zechariah that their son would be filled with the Holy Spirit even from birth. 1:15 God who knows our end from our beginning chose John the Baptist before he was even conceived in his mother’s womb and filled him with the Holy Spirit so he would accomplish God’s purpose. Holy Spirit to Holy Spirit is the strongest connection two people can have. This is a connection that cannot be broken. John the Baptist and Jesus had that connection! “Blessed is she who has believed that what the Lord has said to her will be accomplished.” v45 Mary believed the Word of the Lord. Mary was willing to accept both the honor and the reproach that would come by submitting to the Lord’s Word and will. Mary began to rejoice at the prophesy and witness of her cousin Elizabeth. The Word of God has been established by two witnesses. She sang a new song!